Del Rey has revealed the final cover and complete author lineup for From a Certain Point of View, the 40th anniversary short story collection coming in October. The final additions are Kieron Gillen, Greg Rucka, Elizabeth Wein and Jeffrey Brown. → Kieron Gillen and Salvador Larocca will take over Marvel’s flagship Star Wars title with #38 – and most intrigingly, their first arc will take us to “the post-apocalyptic hell that remains of Jedha after the Death Star punched a hole through its mantle.” Gillen will continue to write Doctor Aphra. → Christie Golden talks Inferno Squad with the Verge. Last week, we held a prize drawing for the new Star Wars: Darth Vader and Family coloring book featuring the artwork of Jeffrey Brown, donated by Chronicle Books. And the winner is Stephanie! She will be getting a copy of the coloring book that contains tons of the best Star Wars scenes from earlier Jeffrey Brown books, like Vader’s Little Princess, converted into coloring pages, and includes nine new art pieces just for this book. (Adorable Wookiee and other books for illustrative purposes only.) Thanks to our friends at Chronicle Books! Watch for another prize giveaway this week! Win the new Jeffrey Brown Star Wars Coloring Book! Want to get your hands on a copy of the newest Star Wars coloring book, Darth Vader and Family, featuring the art of Jeffrey Brown? Thanks to our friends at Chronicle Books, we’re giving away one copy to a random winner. This adult coloring book has carefully translated the artwork from Jeffrey Brown’s bestselling Darth Vader and Son series, as well as nine new images featuring Darth Vader interacting with young Luke and Leia. Now coloring enthusiasts of all ages can enjoy their favorite moments from the series on larger format pages. The Darth Vader and Family Coloring Book goes on sale March 28, 2017. Want to win? Simply leave a message in the comments of this post by the deadline of 11:59 pm EDT on March 31, 2017, and we’ll announce a random winner on April 1. We can ship the book to a winner in the US or deliver it to you in person at Star Wars Celebration Orlando (April 13-16). Baby Jawa, Yowie and Jawajames complete their series of countdown to Force Friday videos with this entry for Force Thursday. They get into some Star Wars Mac n Cheese, check out Jeffrey Brown’s Darth Vader and Friends, and preview Tom Angleberger’s retelling of Return of the Jedi: Beware the Power of the Dark Side. J.W. Rinzler takes the release of Star Wars Storyboards: The Original Trilogy as occasion to take a look at some of Lucasbooks’ other upcoming nonfiction (and humor) releases. He has a bit to say on one of the new books James spotted last month, Star Wars Costumes: The Original Trilogy. It will include new photos of the costumes and interviews with costume designers John Mollo, Aggie Rodgers, and concept artist Nilo Rodis-Jamero. We even have a release date: October 28. He also talks about the next Jeffrey Brown Star Wars book, Goodnight, Darth Vader, which we’ll start hearing more about soon – and Rinzler confirms there’s a fourth book in the pipeline as well. 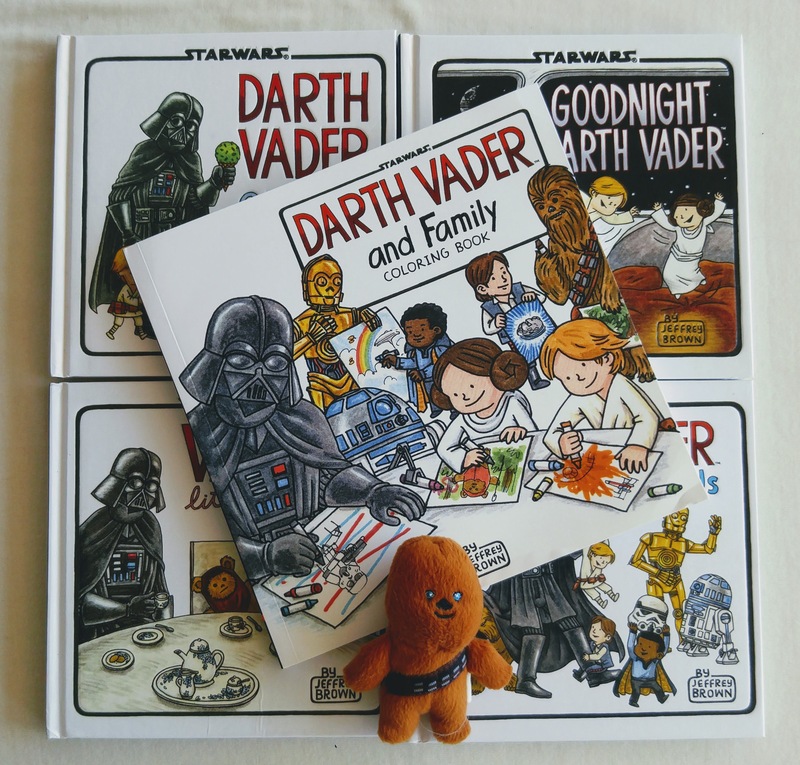 Jeffrey Brown adds a third book to his Daddy Vader series with Goodnight Darth Vader, StarWars.com reveals today. There’s no release date on StarWars.com, but Amazon says July 22. Two of Jeffrey Brown’s illustrations from Darth Vader and Son and Vader’s Little Princess come to life – or at least 3-D – in these new maquettes from Gentle Giant. 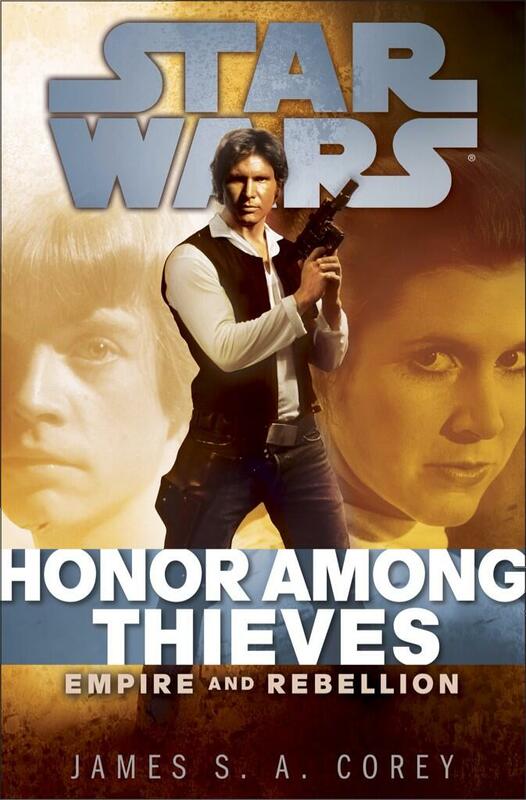 At Del Rey’s Star Wars panel at SDCC today, they revealed the cover for for James S.A. Corey’s Honor Among Thieves, in addition to saying the book is in the same vein as the classic Brian Daley novels! We’re not expecting big news, but anything could happen… Attending were authors Jeffrey Brown, Troy Denning, John Jackson Miller, and J. W. Rinzler, Del Rey editor Frank Parisi and Lucasfilm’s Jennifer Heddle and Leland Chee. They also discuss Kenobi, The Making of Return of the Jedi, and Brown’s followup to Vader’s Little Princess… And nothing about Crucible, Sword of the Jedi, or the Kemp books. On hold, indeed. 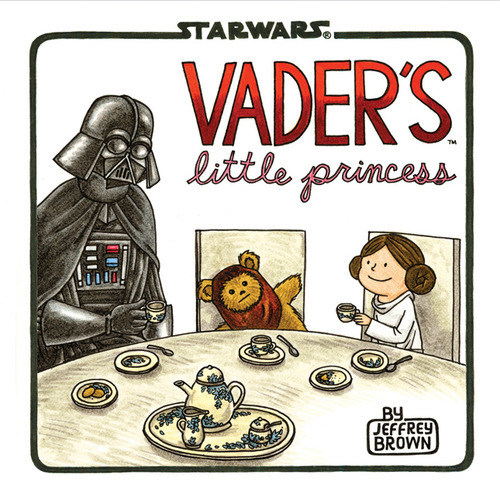 Out Tuesday is Vader’s Little Princess, Jeffrey Brown’s followup to last year’s wildly popular Darth Vader and Son. Also out now from Chronicle is something I forgot to mention last week – the standalone hardcover edition of Daniel Wallace’s Book of Sith. Both Brown and Wallace, along with Lucasfilm’s Johnathan Rinzler, will be chatting about Star Wars on May 1 at the Star Wars and Chronicle Books blogs. Submit your question(s) now! Meanwhile, comic fans will have something waiting for them on Wednesday as well: Legacy #2.